Nikki is a Chartered Legal Executive and joined the firm in November 2017 as the Head of Planning. Nikki has over 20 years experience in the legal profession, 12 of which have been as a public sector lawyer providing advice to both in-house and external public sector clients in relation to planning and highways issues for developers, individuals and public bodies. Nikki's public sector experience and particular specialisms in relation to planning obligations and affordable housing is a huge benefit to clients seeking to finalise planning obligations quickly and efficiently obtain clear and concise advice on a wide range of planning issues. She was responsible for the creation of a Norfolk wide standard planning obligation and affordable housing schedule which resulted in her being a finalist and receiving a commendation for the 'Lawyers in Local Government CILEX Lawyer of the Year' award. She has been involved in agreements relating to most of the major developments across Norfolk over the last ten years including large scale developments in Hethersett, Sprowston and Thetford. She has also dealt with a large number of the highway agreements entered into across the County securing large scale highway infrastructure required as a result of development in the area. 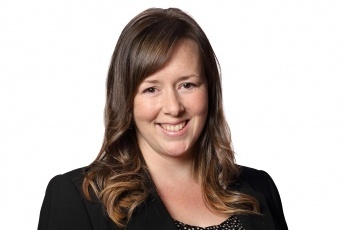 Nikki has extensive general planning and planning enforcement experience. Her advice is repeatedly upheld on appeal to the planning inspectorate demonstrating her focus on accurate interpretation of the law and clear advice in relation to breaches of planning control. Nikki's experience in the legal profession began as a trainee legal executive in 1998 dealing with probate and property. In March 2006 Nikki moved to planning and highways as a legal officer, before qualifying in November 2009 as a Chartered Legal Executive. In her spare time Nikki enjoys spending time with her family, travel and experiencing fine dining whenever she can and is a great source of restaurant recommendations!